The chapel of St Nicholas was the medieval chapel of Codnor castle, which no longer exists. It is unclear if the chapel was part of the castle building itself or whether it was built a short distance away to the West and was just associated with the castle. 907. Decree in a suit between Sir Robert Peygden al. Pygden, priest, complainant, and George Zouche, esq., defendant, before the "King's Counsaille," by which it is determined that the said Robert Peygden is to retain possession of the Free Chapel called St. Nicholas' Chapel, within the castle of Codnor, with the " mancyon house" attached and the commodities attached to the said chapel, to which he was presented by the late John Zouche, knt., by his deed also subscribed by the same George, from which chapel the latter had deforced him. This document suggests that the chapel was “within the castle of Codnor”. A second document dated 31st July 1682, found at the Surrey Records Office (K87/26/195) refers to the trial of Robert Wyld the younger who has been accused of stealing sixteen or seventeen sheets of lead from the roof of Codnor castle chapel. The document discusses the evidence of several witnesses and refers more than once to “the roofe of the chappell in Codnor castle”. In 1893 an article appeared in volume 15 of the "Journal of the Derbyshire Archaeological and Natural History Society" written by Frederick Channer Corfield of Ormonde Fields House Codnor. The article discusses the possible location of the chapel of St. Nicholas. 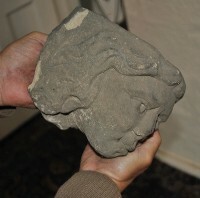 He refers to some remains that were dug up in 1834 by a farm Labourer by the name of ‘Hicking’, consisting of a font, a key, and a female head carved in stone about nine inches in length. It exhibited a square head-dress, with lappets characteristic of the costume worn about the end of the fourteenth century. There was also reports of human remains and parts of coffins disturbed when the iron-stone mines were worked in that area. The location of these finds was a corner of a field known as “Church Close”, which is just to the north of Ormonde Fields, and about 500 yards west of the castle. However the article does explain that “Church close” is a common name applied to church lands now alienated, but once bequeathed for the endowments of chantries in parish churches. This designation therefore cannot be adduced as indisputable proof of the former existence of a chapel on the spot. 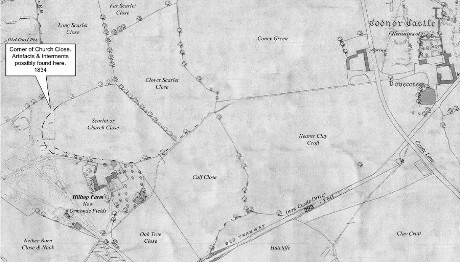 Also a map of the estate from 1824 shows the field is called "Scarlet Close" It seems to be called " Church Close" in later years, maybe after the artifacts were discovered in 1834. Unfortunately much of this area was opencast in the 1950s so any archaeological evidence of a chapel in this location is probably lost. Fig.1 Map dated 1881 showing the location of "Church Close" in relation to Codnor Castle and Hall Farm, now Ormonde Fields House. 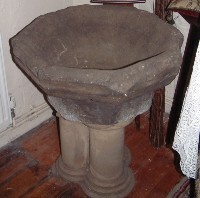 Fig.2 The stone Font and Head found in 'Church Close' in 1834 by Mr Hicking. Both items are now kept at St. James Church Crosshill Codnor. This Chapel was erected in 1827 on Heanor Road, and was the first non-conformist church to be built in Codnor. It was enlarged in 1875 to seat 200 people and was in the Ripley Circuit. Mr James Byers was an active worker for the Wesleyan Chapel until his death in 1937. During his long connection with the church, he was treasurer to the trustees, Sunday school and Band of Hope. No task was too great for him in the interests of the church, and with the assistance of Mr W Eyre and MR E B Standall he was largely responsible for raising the money to defray the cost of the pipe organ. In more recent years Mr Hesketh who once owned a grocery store just above the chapel was the Sunday School superintendant. The chapel closed in 1964 due to lack of support and was demolished a few years later in 1967. During the demolition several items were discovered in a time capsule buried under a foundation stone. A row of houses now occupy the site. 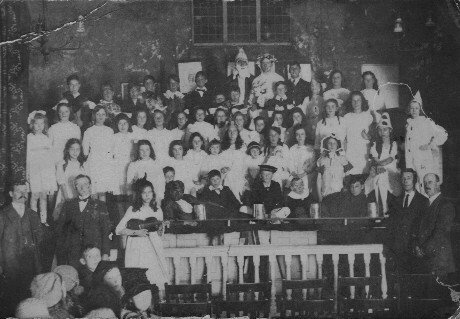 Fig.3 Wesleyan Chapel Christmas Concert, Heanor Road (Chapel Street) 1930s Many thanks to Aubrey Ratcliffe for this image. The Primitive Methodists erected their first place of worship in Codnor on Needham Street in 1857. 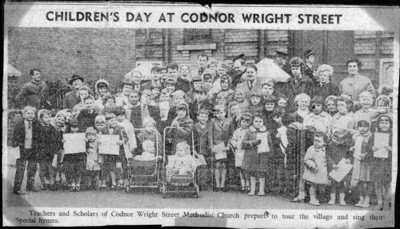 In 1880 a new chapel was built in Wright Street at a cost of £1300, the old chapel on Needham Street continued to be used as a Sunday school and then an Institute and finally a garage before it was demolished in the 1960’s. 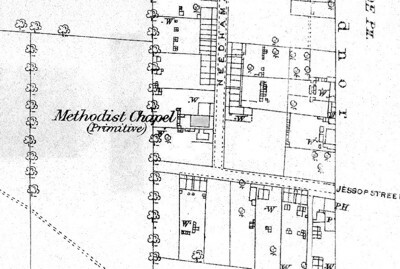 Fig.4 Map dated 1881showing the location of Needham Street Primitive Methodist Chapel. This is now demolished and the site of a private house. 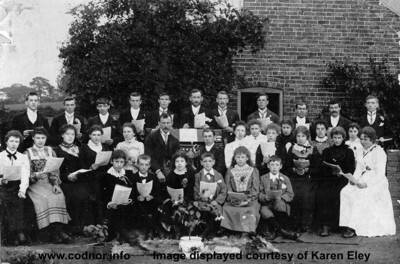 Fig.5 Codnor Primitive Methodists, image dated 1900-1905. My Great Grandfather, David Sharp (back row 3rd from left) and my Great Grandmother Elizabeth Sharp, nee Palmer (middle row 1st on left). The new chapel was huge and could accommodate 750 people. It was furnished with open pews and had a gallery, which was carried around the entire building. 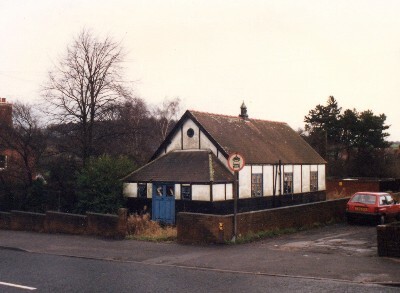 The chapel closed around 1970 due to lack of support and was demolished soon after. 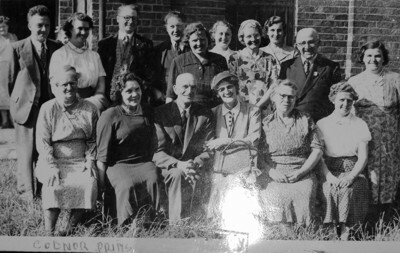 Middle Row Left To Right Joan Grainger standing in front of her dad, Mrs Searson, Mr Searson, Mary Sharp. Front Row Left to right Mrs Rose,?,?,?,Mrs Emmonds, Daisy Sharp on right (Oswalds Wife). Many thanks to Ross Sharp for this picture. Styled as the Bethesda Methodist Chapel and known locally as the “Top Chapel”, was built in Codnor Market Place at the top of Heanor Road in 1854 at a cost of £350 by the seceders from the Wesleyan Society, The Wesleyan Reformers. The building was later enlarged to seat 750 people. For many years the organist had been Mr William Steeples. He made his debut as an organist during the First World War at the age of 13 for the Sunday school anniversary at the chapel. At the age of 17 he played Codnor’s very first performance of the ‘Massiah’. He had high regard for the 2 manual organ, which was built in 1883 by Eustace Ingram of 29 Burnard Place, Eden Grove, London. It was later restored in 1947 by Henry Willis & Sons. After the second World War the congregation dwindled, and it was decided that the costs for such a large building were becoming too much. The decision was made to build a smaller modern church on Mill Lane. On October 26th 1980 the old Bethesda Chapel conducted its last service and organist Mr William Steeples, who had been playing the huge organ for sixty three years, played it for the last time. The chapel minister at the time of its closure was the Reverend Donald W.Elworthy. The building is now owned by Mr W.Holmes and used as part of his pet shop business. At the end of the First World War a Sunday School building, was erected in Mill Lane opposite the day school. This was a second hand building that had been used previously as a day school in 1894 whilst conversion work was carried out on Mill Lane school. It was made from corrugated steel sheet, which gave it its local nick names “Tin Pans”, “Tin Tabs” or “Tin Tabernacles”. It was a large building and was often used in later years by the education authorities as an overflow building for the Whitegates School. 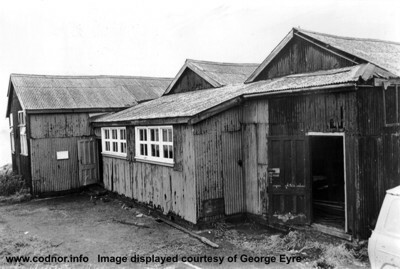 Although it was only ever meant to be a temporary building, it survived until October 1978, when it was demolished to make way for the new Methodist Chapel. 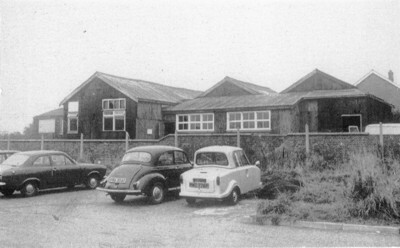 Fig.9 A picture of the Tin Pans just prior to demolition in 1978. The building of the new Methodist Church on the site of the old "Tin Pans" Sunday School on Mill Lane began in 1980 and was finally dedicated and opened on 1st November 1980. It was erected at a cost of £27000, but had heating and running costs that were a quarter of the old Church. The building also doubles as a meeting hall for the village. The Christian Science movement was founded in 1866 in the United States and was first practised in Codnor in the early 1900s by Miss North, Headmistress of Mill Lane Infants school. It had been introduced to her by a relative of Arnold Warren the cricketer, possibly his brother, Charles Henry Warren, whose wife was a Christian Scientist. Miss North lodged with Miss Eyre at “The Farmlet” on Glasshouse hill and was also a teacher at the Bethesda Methodist Church Sunday School (Top Chapel), were she started teaching some of the Christian Science ideas to the pupils.This was frowned upon by the church elders, so she resigned and started a Christian Science Sunday School in her home. Three of the pupils started to attend her Sunday School and later joined in her study group. Rose Skinner, who later married Tom Hand. Jessie Skinner, who later married George Trevett. Mary Elizabeth Butler who later married Lawrence Searson. It is said that the son of Rose and Tom Hand dislocated his hip and was cured by a Christian Science practitioner after conventional medical care had failed him. This attracted other members to the group including; Mr & Mrs George Revill, Mr & Mrs Alf. Lingard, Mr & Mrs Sam Hand, Mrs Peake and later Mr James Byers, Mr & Mrs Carl Deuxberry of Swanwick, Mr & Mrs. Arthur Booth of Leabrooks, and Mr Sam Brittain of Ripley. The group was now to big to meet at Miss North’s home so new premises where found at Mr Barkers, 20 High street Codnor in the second floor of an outbuilding. When these premises proved to be to small plans were made to build a new church on land purchased From Miss Eyre on Glasshouse hill. The building of the church was supervised by the architect Mr A Booth and was completed in 1935 and finally becoming dedicated and free from dept in 1942. The Codnor Church was a branch of the Mother Church of the First Church of Christ Scientist. Boston, Mass., U.S.A. Interest in Christian Science movement waned in later years and the church eventually closed in 1986. It was demolished a few years later to make way for the Firs Nursing Home’s new building. Heanor & District Local History Society News Letter No.165 January 1991.